CHUTE-SIDE™ BEEF: Contains a proprietary formulation of beneficial and viable Lactic Acid Bacteria. Chute-side™ Beef was developed solely by The Vit-E-Men Company based on an extensive research and development program. This ongoing program includes several university experiments and multiple field trials. CONCENTRATE ANALYSIS: Chute-side™ Beef contains a total of 500 million cfu/ml, of Lactobacillus acidophilus; Enterococcus faecium; Pediococcus pentosaceus; Lactobacillus brevis and Lactobacillus plantarum. INGREDIENTS: Mineral Oil, dried Lactobacillus acidophilus fermentation product; dried Enterococcus faecium fermentation product; dried Pediococcus pentosaceus fermentation product; Dried Lactobacillus brevis fermentation product; dried Lactobacillus plantarum; Paraffin, Synthetic amorphous precipitated silicon dioxide. Consult with a The Vit-E-Men Co. Inc. Representative. Chute-side™ Beef is designed to be orally applied to Cattle at the Chute with an application syringe or hand held gun. STORAGE: Store in cool dry place out of direct sunlight. CHUTE-SIDE™ DAIRY: Contains a proprietary formulation of beneficial and viable Lactic Acid Bacteria. Chute-side™ Dairy was developed solely by The Vit-E-Men Company based on an extensive research and development program. This ongoing program includes several university experiments and multiple field trials. 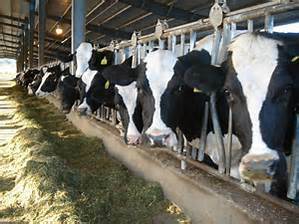 CONCENTRATE ANALYSIS: Chute-side™ Dairy contains a total of 500 million cfu/ml, of Lactobacillus acidophilus; Enterococcus faecium; Pediococcus pentosaceus; Lactobacillus brevis and Lactobacillus plantarum. Consult with a The Vit-E-Men Co. Inc. Representative. 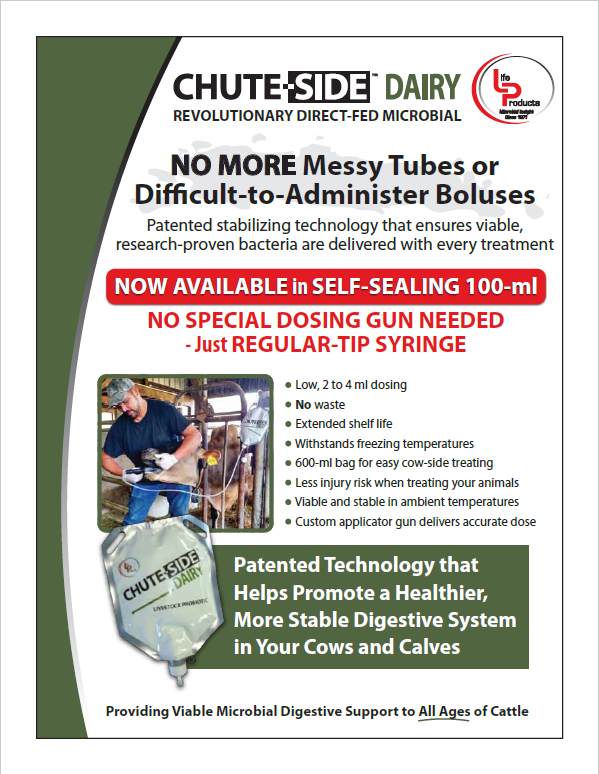 Chute-side™ Dairy is designed to be orally applied to Cattle at the Chute with an application syringe or hand held gun. 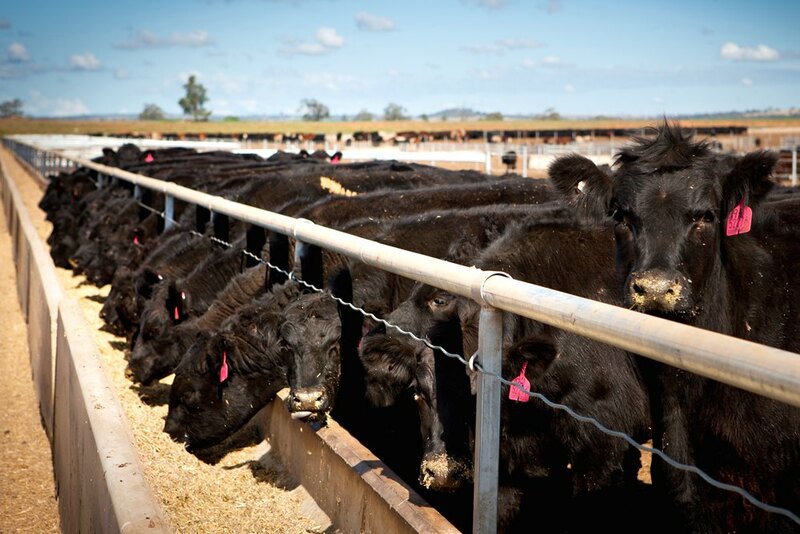 CHUTE-SIDE™ Livestock: Contains a proprietary formulation of beneficial and viable Lactic Acid Bacteria. Chute-side™ was developed solely by The Vit-E-Men Company based on an extensive research and development program. This ongoing program includes several university experiments and multiple field trials. 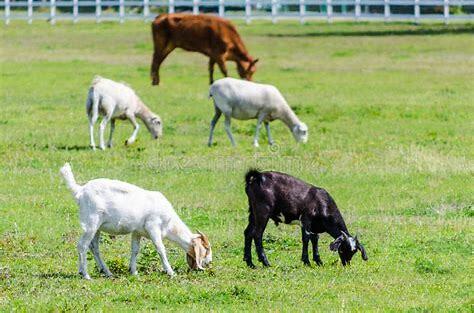 GUARANTEED ANALYSIS: Chute-side™ Livestock contains not less than 500 million cfu/ml of Lactobacillus acidophilus, Enterococcus faecium, Pediococcus pentosaceus, Lactobacillus brevis and Lactobacillus plantarum. INGREDIENTS: Mineral oil, dried Lactobacillus acidophilus fermentation product, dried Enterococcus faecium fermentation product, dried Pediococcus pentosaceus fermentation product, dried Lactobacillus brevis fermentation product, dried Lactobacillus plantarum fermentation product, Paraffin, Synthetic amorphous precipitated silicon dioxide. Consult with a The Vit-E-Men Co. Inc. Representative. 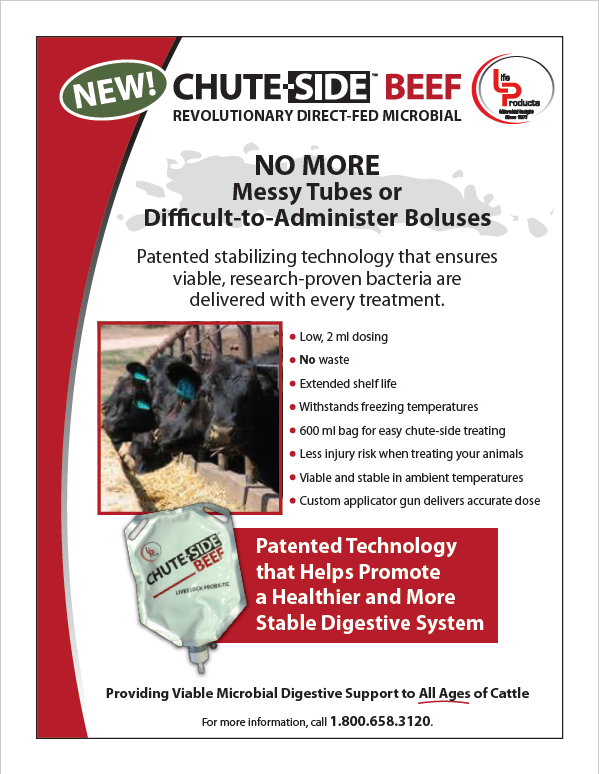 Chute-side™ Livestock is designed to be given orally utilizing a standard regular tip syringe. No needle.